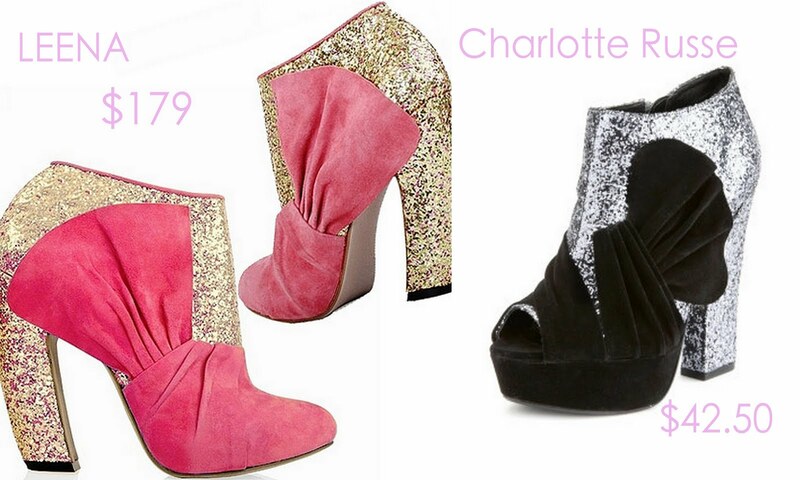 Chic Geek : Glittery look for less...then another for more. Glittery look for less...then another for more. 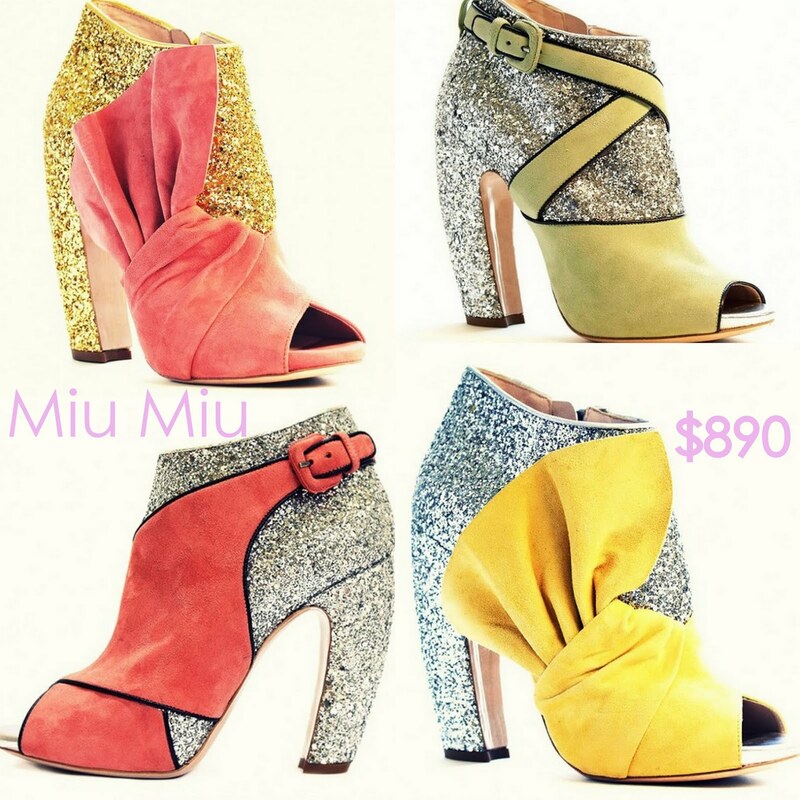 The Miu Miu glitter boot is the current "it" shoe. The price is a bit steep so I found two options that will give you the look without breaking the bank. I'm not sure I could pull these off... would you wear them? Below, we're back to another "investment piece". 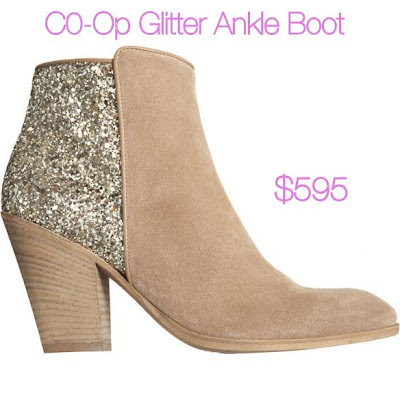 I would rock the Co-Op glitter ankle boot in a heartbeat. They are the perfect balance of casual+tough+girlie. I found a DIY version here, but I'm lusting after the real deal on this one. Not sure what to say. That DIY project turned out great. Have a good weekend. I love the Miu Miu booties, but honestly, they aren't very practical for my particular lifestyle (or budget). I am definitely a huge fan of those Co-Op ankle boots and also posted that DIY on my blog. I'm looking forward to giving it a whirl! Thanks for linking to my post! :) I'm dying for the real Co-Op boots, too, even with my DIY pair in hand ... nothing beats the original! How many coats is too many?